You don’t realize how deafening most modern airports are until you are trying to talk to someone on a cell phone from a gate waiting area. Did you ever notice that you only hear the phrases “stow” and “power down” on the recorded messages that play at the beginning and end of a plane flight? On my return flight this afternoon, I was industriously chewing the ice shards in my little plastic drink cup, trying to obtain every ounce of moisture in the hyper-dessicated airplane cabin environment, when I suddenly became acutely aware of the woman sitting next to me and wondered whether the ice-chewing was getting on her nerves. I tried to chew the ice in a quieter way, but there really isn’t one. Russell will be coming home for a few days later this week. It will be good to see him — and to subject him to the initial parental once-over. If you’re a parent, you know what I mean. 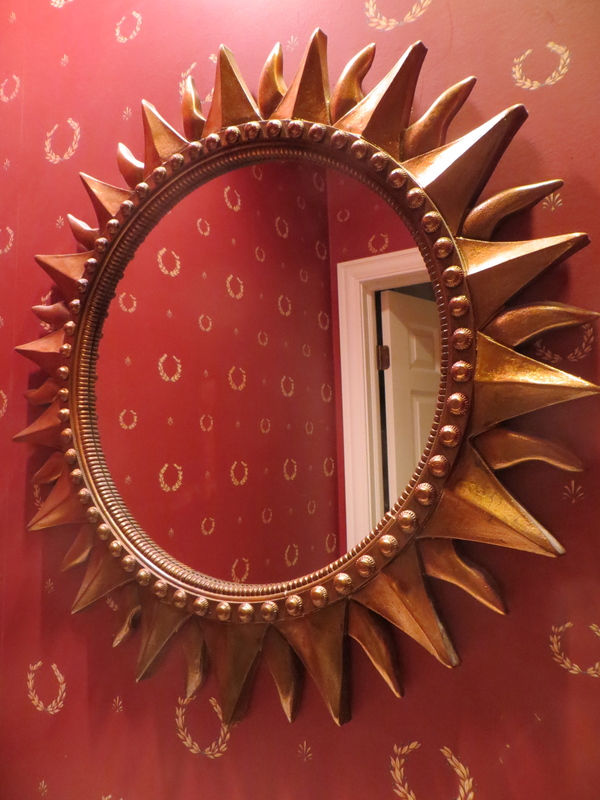 When your children leave home and you see them only once in a while, you can’t help but give their familiar faces some careful scrutiny the next time you see them. The passage of time always brings a fresh perspective. Usually my reaction is: they look and act so much older, like the adults they have become. The chubby cheeks and white-blond hair of childhood are long gone, replaced by the visage of a mature, functioning twenty-something who is in control of his life. With this visit, though, I suddenly realize that the tables may be turning. When I was a twenty-something living in D.C. and came home for a visit, I remember looking at my parents and thinking that they were the ones who were looking older — a bit grayer, a bit more lined, a bit more stooped, and a bit more deliberate in their actions with an occasional wince as they rose from the kitchen table after dinner. When Richard and Russell come home for their occasional visits these days, will they now be checking us out and seeing those telltale signs of age? I’m going to have to pay more attention when I look in the mirror this morning as I get ready for work. Today is National Letter of Intent Signing Day! I use initial caps, because for college football fans, it’s a Big Day. The recruiting wars are finally ended, and the fans of each school count up the number of two-star, three-star, four-star, and five-star athletes who will be joining their teams. By all accounts, Ohio State, its head coach Urban Meyer, and his hard-working assistants did pretty well this year. Ezekiel Elliott, whose announcement that he will become a Buckeye is shown here, is one of the more heralded members of the Ohio State class. When I think of National Letter of Intent Day, however, I think of kids, and their parents. A high school student who is a stud athlete is still a high school student. They may run faster, and bench press more, and catch footballs better than your ordinary kids, but deep down they are the same mass of raging hormones that you find in every kid of that age. They are making a huge decision that could have tremendous, long-term consequences for their lives — and they and their parents are hoping that they make the right decision. It’s a huge, emotional matter for any high school student about to go away from home to college. Just imagine what it must be like for a kid who not only is leaving the cocoon of their family, but moving into new territory where their every move will be scrutinized and deconstructed by rabid college football fans. So, on this National Letter of Intent Signing Day, I want to welcome all of the young men who have committed to come to The Ohio State University — but I especially want to welcome their parents to the family that is Buckeye Nation. I also want to make this pledge to those parents: no matter how high the athletic stakes, how big the game, or how colossal the blunder, I will always strive to remember that we are talking about young people here. I will try to bear in mind that everyone makes mistakes, that we all have committed youthful indiscretions that we regret, and that people can mature and grow and shouldn’t be forever defined by a single, ill-advised decision. I will always seek to give your kids the benefit of the doubt, just as I would hope that other parents would do with my kids. I suspect I’m not alone in this, so please remember that, for every fan who goes over the top there are dozens, if not hundreds, who support your youngster and wish only the best for him. You’re happy that your loved one has survived a serious health problem — then you realize with a jolt, perhaps with a nudge from a social worker, that you must figure out where that person will go when they are discharged tomorrow. But . . . how do you decide where? We haven’t been trained for these kinds of decisions. Although hospital social workers won’t express an opinion, they’ll give you names and, if you live in Columbus or another metropolitan area, probably will tell you that you’re lucky because there are many options. Sometimes, however, broad choice can be less a blessing than a curse. How do you narrow the field down to the one place that is the best choice for your loved one? There’s lots of information out there, but what does it mean? There are ratings on-line, but how are they developed? If you’re in your 50s, talk to your friends and you’ll learn that many of them have already gone through the process with their parents. They may recommend a place or warn you away from a place that they describe, in awful terms, as a kind of institutional hell on earth. You appreciate the warnings, but it also scares you to know that such places may exist and a bad decision may land your loved one there. The significance of your decision seems increasingly overwhelming. So you go visit places, because everyone says to do so — and you realize that the places look pretty much the same. There’s a chipper female administrator who takes you on a tour. The facilities are ranch-style, with no stairs, and are brightly lit and decorated. You hear about the therapy equipment and nurse-and-therapist-to-patient ratios as the professional staff walk briskly past, look in at a resident’s room that looks just like the resident’s room you saw in the last facility you visited, and scan the therapy room with its machines and balls and mock stairsteps. They all look pretty much the same, too. You see the residents, of course. After the initial shock of seeing crumpled figures in wheelchairs and beds — poor, hurting, older people unlike the healthy, vigorous folks you see every day — you realize that’s why the facility is there. You can’t disqualify a place because you encounter a groaning older person gesturing at you with an outstretched, scrawny, grasping arm and a haunted look in their eyes, because virtually every place has them. You just try not to imagine your loved one eating next to that poor soul, because you can’t. You soon understand that the tours and the chipper administrators and recommendations and warnings from your friends can only get you so far. How can you tell whether this place, or that place, has the kind of patient, upbeat therapists who can give a scared, exhausted person the incentive to get out of bed and try to walk again, or talk again, or use their injured arm? How do you know how the food will taste if it must be prepared in low-sodium, pureed form because your loved one needs to relearn how to swallow — and is it even possible for bland pureed food to be appetizing? How do you know whether the seemingly competent staff will really pay careful attention to your loved one, rather than the angry man causing the commotion three doors down? You really can’t know, of course. It’s an impossible decision that you must make, but you do the best you can, trying to weigh the competing considerations and hoping that your instincts move you in the right direction. Mostly, you hope. 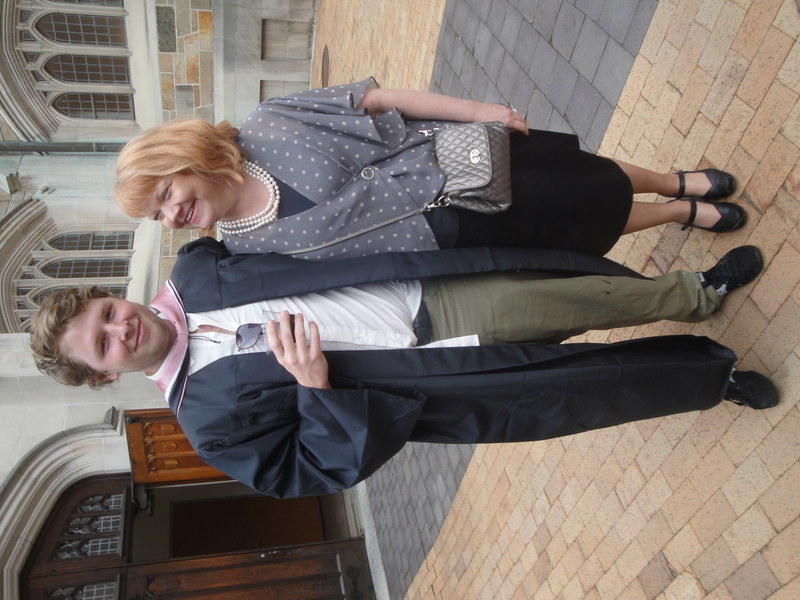 Today we witnessed the Vassar Commencement. This year is Vassar’s sesquicentennial (i.e., its 150th birthday) and it was a special day for everyone who attended. 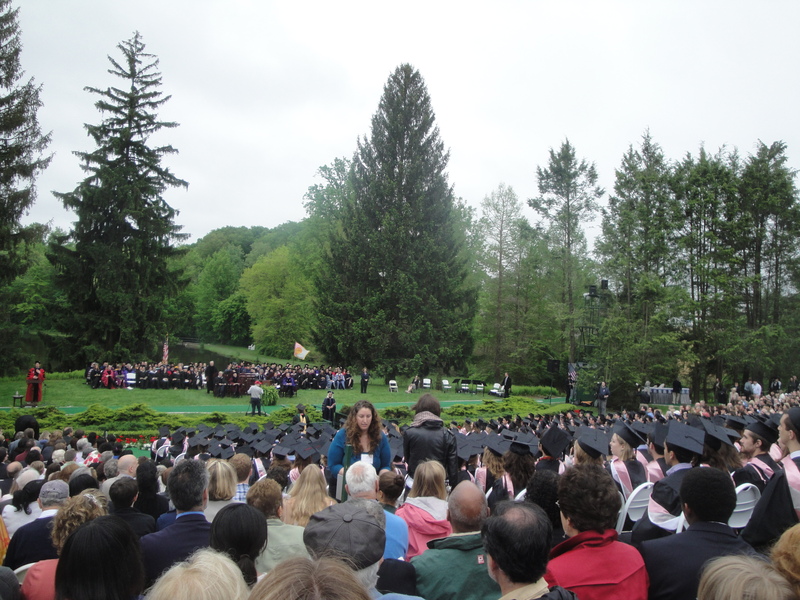 At Vassar, the commencements are held outdoors in a beautiful setting. The stage is set up in a natural amphitheater with the Vassar lake in the background and tall pines framing the stage, and the chairs for the graduates and guests are set up on a gently sloping hillside. As a result, there really isn’t a bad seat in the house — unless you get stuck behind one of those annoying parents who won’t sit down. The skies were threatening but the rain, thankfully, held off. 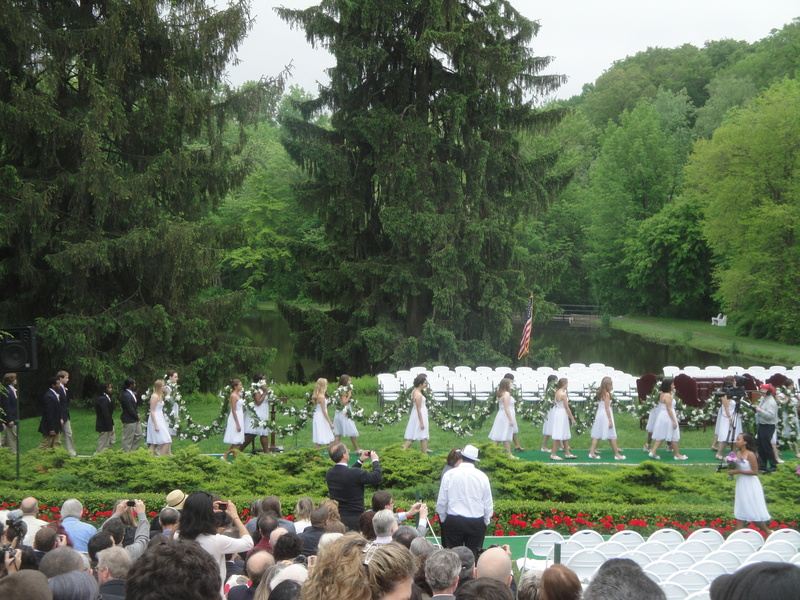 We got to see many Vassar traditions, such as the “Daisy Chain” carried in by Vassar undergrads in white dresses, which has been a commencement staple for decades, and we learned about a number of other traditions in a speech given by Vassar’s president. I n fact, all of the speakers at the commencement did a good job. There wasn’t a real clinker in the bunch, which means that the Vassar commencement is different from every other commencement I can remember. The main speaker — Chip Reid of CBS news, himself a Vassar grad and the first male alum to be a commencement speaker — was especially good, and struck exactly the right note with a speech that was encouraging, funny, interesting, and not overlong. (Great job, Chip!) And, of course, we got to see Russell cross the stage and get his diploma. Commencements are, of course, memorable for the graduates and their parents. As a parent, I feel great pride and satisfaction about Russell’s accomplishment, and it was a real pleasure to meet his professors and fellow students. But the emotions felt by parents, I think, pale in comparison to the confusing mix of emotions felt by the graduates. There is relief at having stayed the course and happiness about your achievement, but also a certain wistfulness at realizing that your friends of the last four years will never again be so close and so close by — and, likely, trepidation about what will happen next. Because commencements are so charged with emotion, I think the appreciation of the accomplishment may be get lost somewhat, only to be found in coming days when things have settled down. That’s a good thing, in a way, because graduating from a fine school like Vassar College is an accomplishment to be savored. Congratulations, Russell! 1. Don’t bring luggage you can’t lift. Saturday I saw a common sight: a petite woman struggling with a monster bag on the baggage carousel. She grabbed the bag, could not lift it off the conveyor, didn’t let go, and plowed into the people next to her until someone helped out. This will no longer be tolerated! If you are going to check a bag, do a test at home and confirm that can actually lift it come baggage claim time. If it is a carry-on, be sure that you can lift it overhead without it falling and knocking out an innocent fellow passenger. 3. You must take a long, hot shower before you travel by air. Let’s be reasonable. You are going to be in very close proximity to total strangers, so let’s respect their interest in not being assaulted by your unseemly body odors. I don’t care if you felt that you had to get in a workout right before the flight. And the penalty for violating this rule would be tripled on a trans-Atlantic flight. 4. 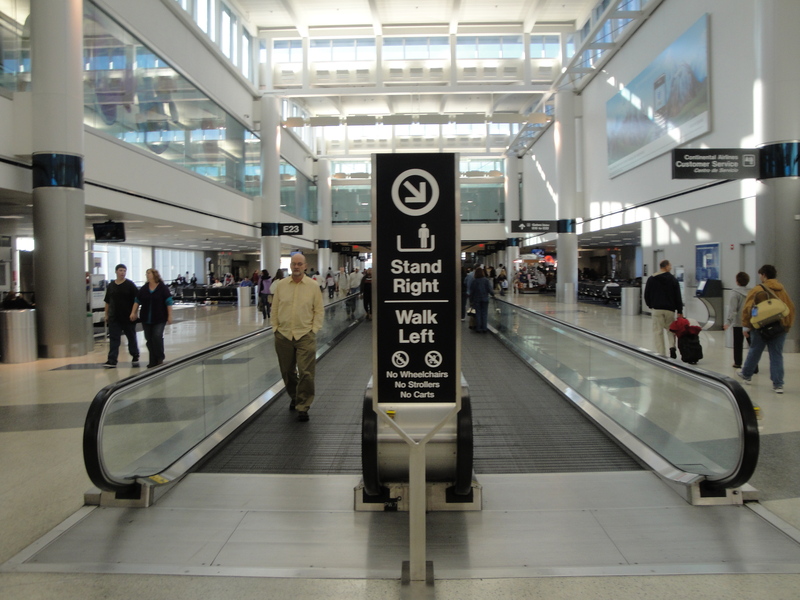 No abrupt stopping is permitted when you are walking through airports. Unless you are in the gate seating area, recognize that everyone around you is in motion. If everyone maintains their pace, the traveler rushing to get to their gate can calculate gaps, adjust their gait accordingly, and weave through the traffic. But if a family walking four across suddenly stops in the middle of traffic, havoc ensues. Treat the walkway areas like an interstate. If you must stop, first move off to the side. 5. Keep your charming kids to yourself. I like kids, I really do. 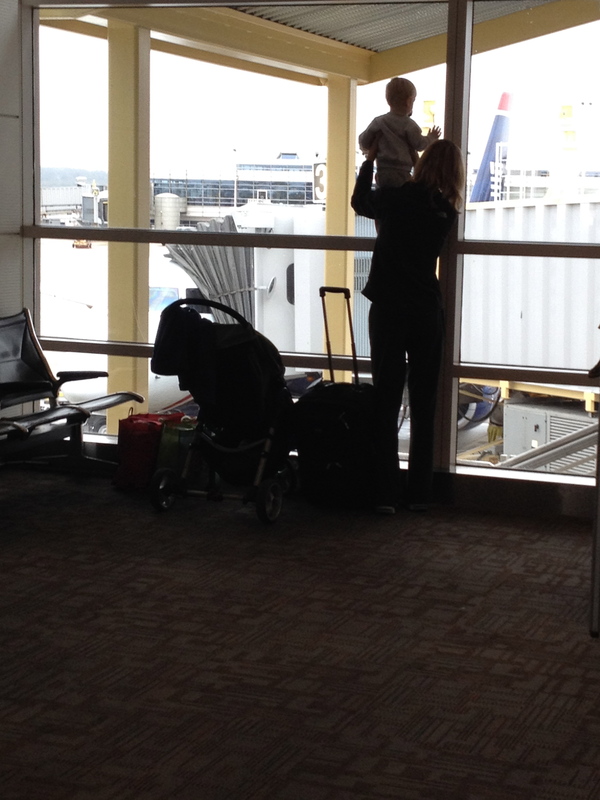 I just don’t enjoy misbehaving rug rats in the gate area when I am waiting for my flight after a tiring day. On Saturday I was plugged into a charging station when a five-year-old came over to examine things in the uncomfortable, up-close-and-personal, touchy way that is common to five-year-olds. Give me a break! No one wants some hyped-up kid bugging them or racing around the gate area, shrieking while they play a game. I can tolerate crying kids — everyone knows that happens to overtired youngsters — but what really gripes my cookies is inattentive parents who don’t make their kids sit down or get up themselves and walk around with a child who has ants in his pants and can’t sit still.